Jammu & Kashmir Police (JKP), Jammu & Kashmir has published for 5381 Constable Vacancies in JKP. Applicants who having articulation examination or equivalent from any Government recognized board can apply through the prescribed format before 25.10.2016 to 20.11.2016. 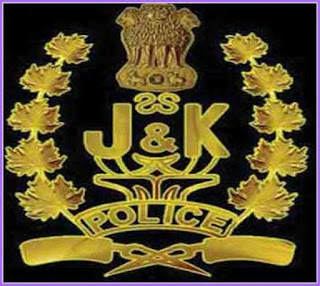 Applicants may send application form to Jammu & Kashmir Police office. Applicants form is available on Jammu & Kashmir Police website www.jkpolice.gov.in. Education qualification: matriculation examination or equivalent from any Government recognized board. Selection: PET, PST & written examination. Age Limit: 18-28 years as on 01.01.2016. The upper age limit shall be 37 years & for Ex-servicemen it shall be 48 years. Payment of application fee can made through online or use the services of Common Service Centers & in case of non-availability of online payment facility, deposit through Bank Challan. Write on the envelope “application for the post of Constable”. Starting Date for Online Application: 25.10.2016. Last Date for Online Application: 20.11.2016. Labels: Jammu & Kashmir Police (JKP) matriculation examination or equivalent from any Government recognized board.